Whether you don’t have room in your garage or don’t have a garage at all, finding a place to store your motorcycle can be a challenge. There are plenty of locks and alarms on the market to help keep thieves from taking off with your bike, but if it’s staying outside you’ll need protection from the elements too. Car Capsule, “The Original Car Bubble System,” offers a motorcycle-sized version of their namesake vehicle storage solution. The 9-foot inflatable enclosure can be maintained 24/7-365 for about $3 per month in power usage and is covered by a one-year warranty. At $399, the Outdoor Bike Capsule is the priciest option on the list. This heavy-duty garage tent comes in two sizes, both available on Amazon for less than $250. The Quictent motorcycle shelter provides full-coverage protection from sun, rain, snow, dust, and other debris, and features a TSA code lock for added security. The ShelterLogic Shed-in-a-Box offers 100 square feet of storage space. 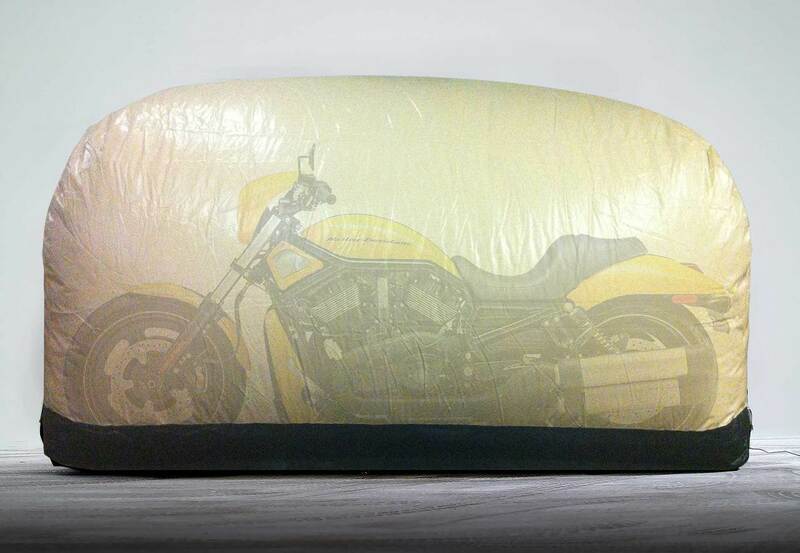 A triple-layer ripstop polyethylene cover shields your motorcycle and equipment from sun, rain, and other elements. The Shed-in-a-Box is priced under $300, with payment plans starting at just $12 per month, and is covered by a one-year limited warranty. If the options above aren’t in your budget, you may need to get a little crafty. Online tutorials offer instructions on assembling a do-it-yourself shell garage out of PVC pipe and tarp, but you’ll probably need to make adjustments for added waterproofing and protection if you plan to use it in the winter. What are your best outdoor motorcycle storage tips? Share your advice with the MotorEagles community in the comments below.